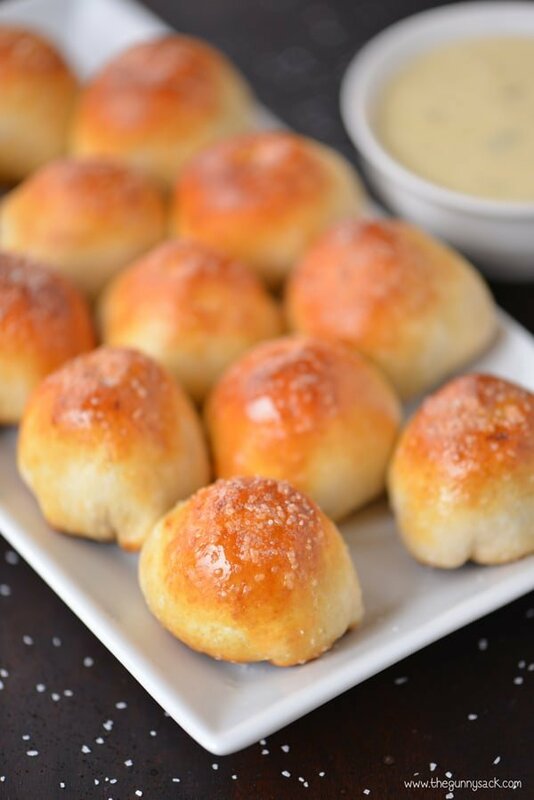 Disclosure: This easy appetizer recipe for Meatball Pretzel Bites was created as part of a sponsored post for Casa Di Bertacchi. Soft pretzels are one of the snacks my kids love. When we are at the mall, they always ask if they can get pretzels. They must not be the only ones joining the pretzel craze, because pretzels seem to be everywhere lately. We’ve seen everything from pretzel buns to pretzel pizza crusts! A few years ago, I started making homemade soft pretzel nuggets and we all love them. 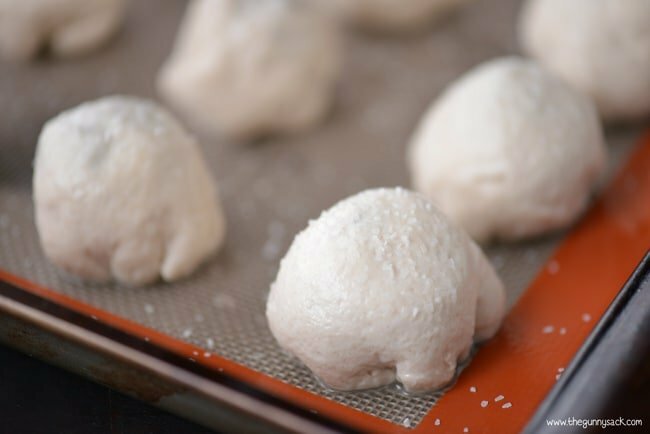 Since then, I’ve found an even easier way to make homemade pretzel nuggets using refrigerated dough. 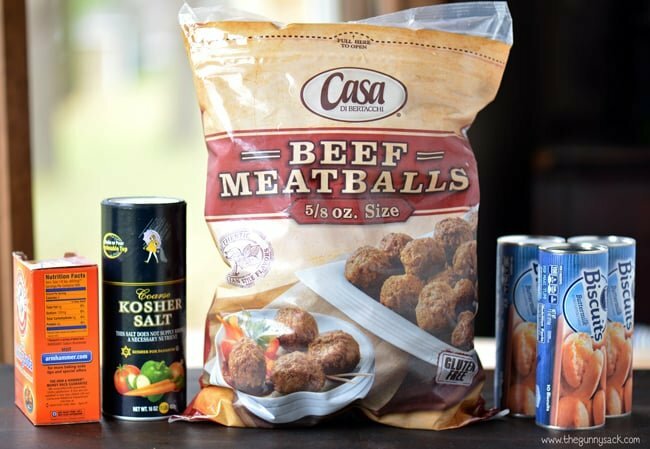 By using refrigerated biscuits and fully cooked Casa Di Bertacchi beef meatballs you can easily make Meatball Pretzel Bites for a holiday party appetizer. 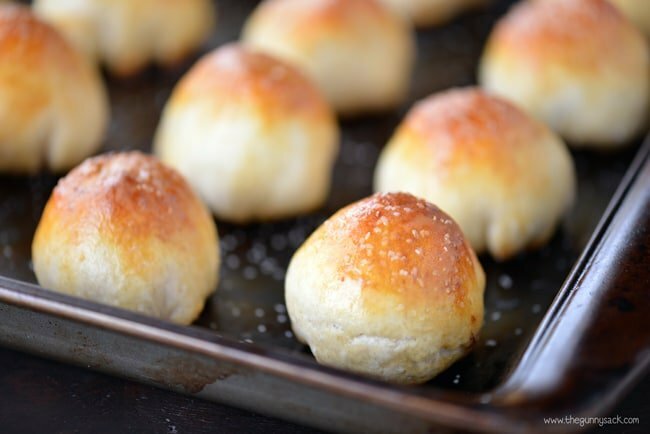 These meatball pretzel bites were made with Casa Di Bertacchi meatballs from Sam’s Club. I love shopping at Sam’s Club, especially during the holiday season to buy ingredients and supplies in bulk, so that I have the things I need on hand. This bag has 6 pounds of meatballs in it so there is plenty to share at holiday parties and potlucks. The recipe also includes baking soda, coarse salt, refrigerated buttermilk biscuits and butter. It is important that the meatballs reach an internal temperature of 160 degrees, so be sure to prepare the meatballs according to package directions. Since they will only bake for 7-10 minutes, I heated them in the microwave first. 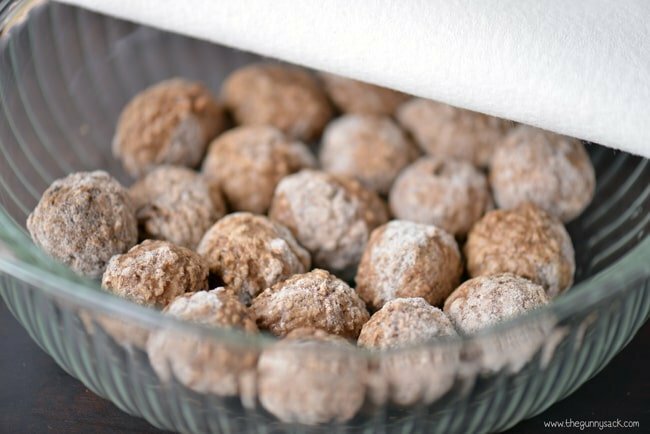 Place twenty meatballs in a microwave safe bowl, add two tablespoons of water and heat for 4 1/2 minutes. 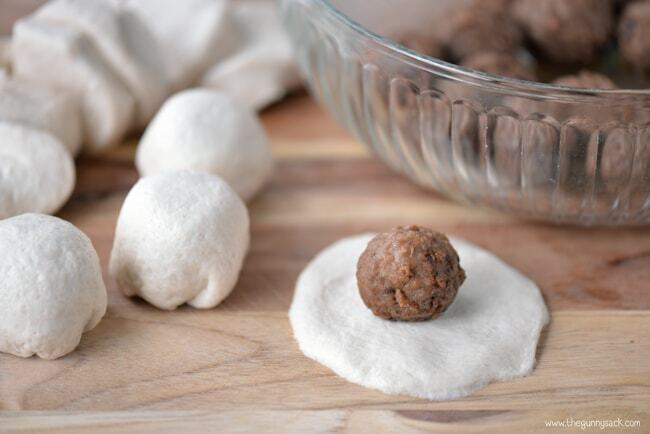 Flatten the refrigerator biscuits, pat the meatballs dry with a paper towel, place a meatball in the center and wrap the dough around it pinching the edges closed. Bake at 450 degrees for 7-10 minutes. Brush with melted butter and sprinkle with additional coarse salt, if necessary. Serve immediately, preferably with some warm, melted cheese like this queso blanco. 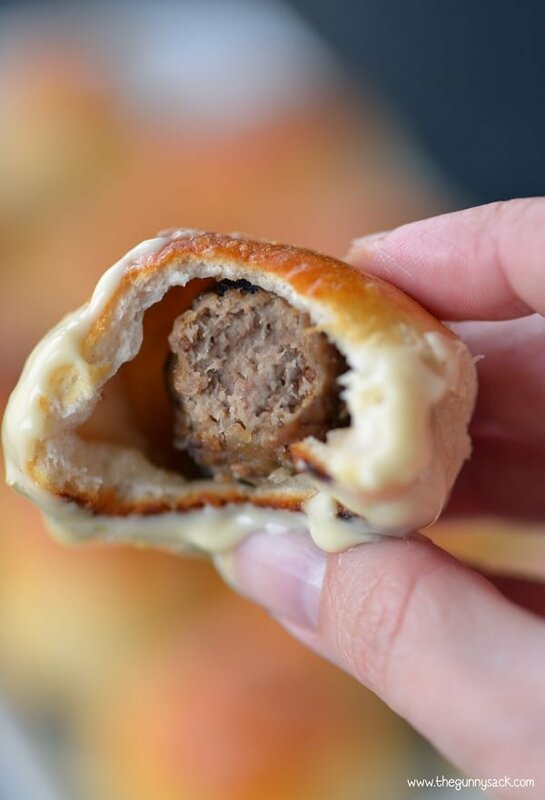 What an awesome combination…a delicious beef meatball wrapped in a soft pretzel! This is one appetizer that everyone will love. 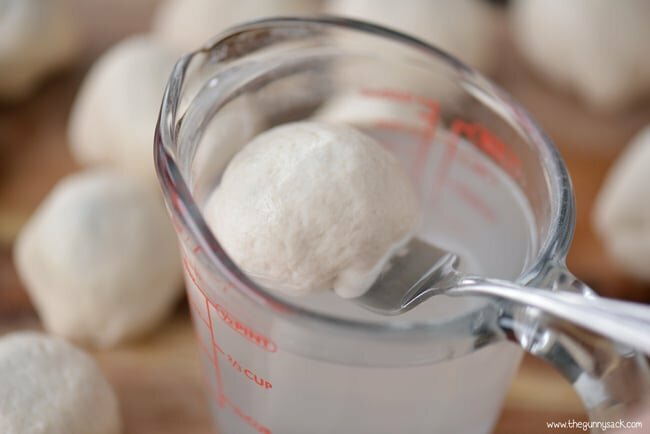 Your guests will love how they taste and you will love how easy they are to make. 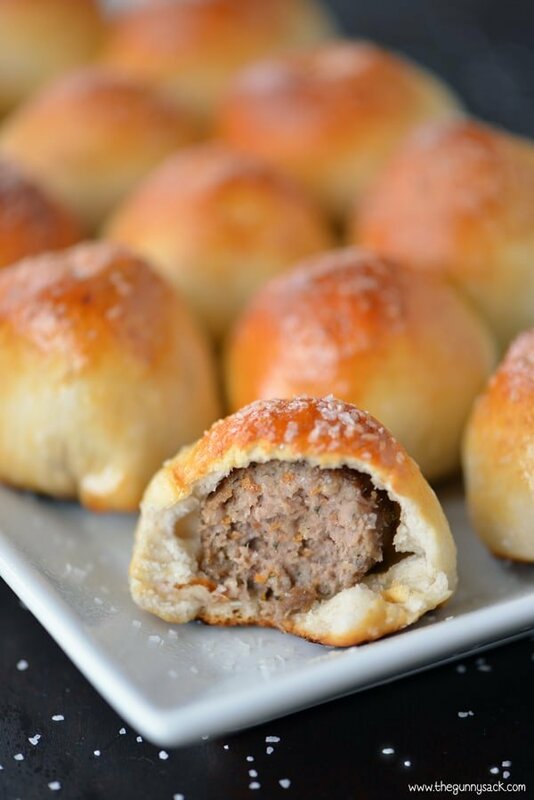 If you can’t wait until you have guests to serve these meatball pretzel bites to, surprise your kids and serve these as an after school snack or even for dinner! If you live in an area where buttermilk refrigerator biscuits aren't available, you can still make this recipe using homemade soft pretzel dough. 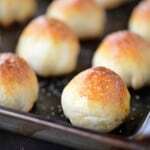 Here is a link to my recipe for Homemade Soft Pretzel Nuggets. 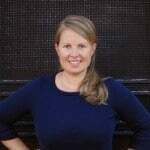 Oh my gosh, Tonia! This is a fantastic idea! Thank you Tonia for the nice recipe. Do you use a whole biscuit or layers of the biscuit? I will try this for a work luncheon. I used one biscuit for each meatball. These were just the regular buttermilk biscuits, not the flaky layers ones. Enjoy! Goodness Tonia, these look so, so good! These are such great part food, although we’d love to devour these for dinner! SO genius!! I’m in love with this Tonia! TOTALLY genius — right now I’m wishing I would have thought of this! They look amazing! We buy that big bag of meatballs at Sam’s too. In fact there is still half a bag leftover for crazy kitchen creations. 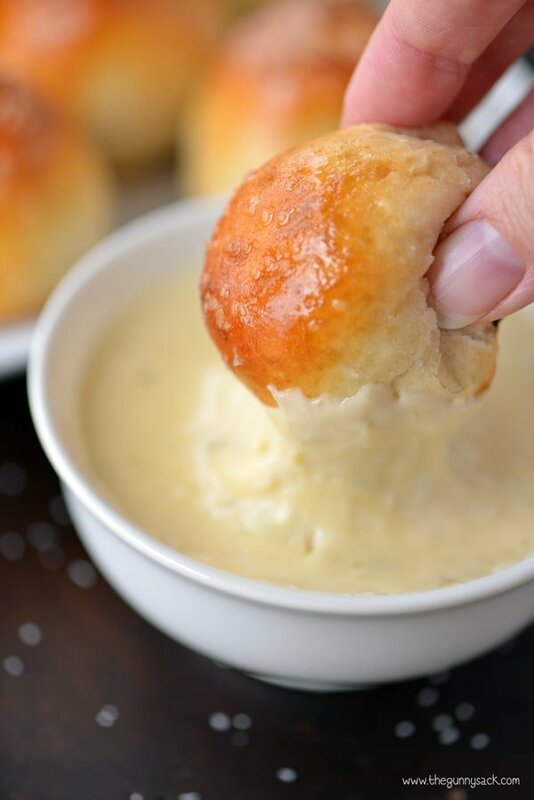 Love that you wrapped them in biscuit dough and did pretzel bites. They sound amazing! They are fabulous meatballs! I have some more yummy meatball recipes in mind. Thanks Jocelyn! Oooohhhh these look fabulous! Love the pretzel twist! You, genius, you! I LOVE these!!! LOL! Thanks so much Katerina! What an easy idea that looks like you spent hours in the kitchen! Loving the golden tops, sprinkled with salt, and the meatball waiting inside! I love how pretzels turn out! It’s very satisfying. Thanks Heather! These are so fun and perfect for entertaining!! Oh my! Best of two worlds! Cute idea for snacking & parties! Wow! I think this is such a great idea! So creative Tonia! Fun! My family would love this, especially with that cheese sauce! They were definitely a hit! Thanks Melissa! These look amazing! Love that little sausage surprise…yum!